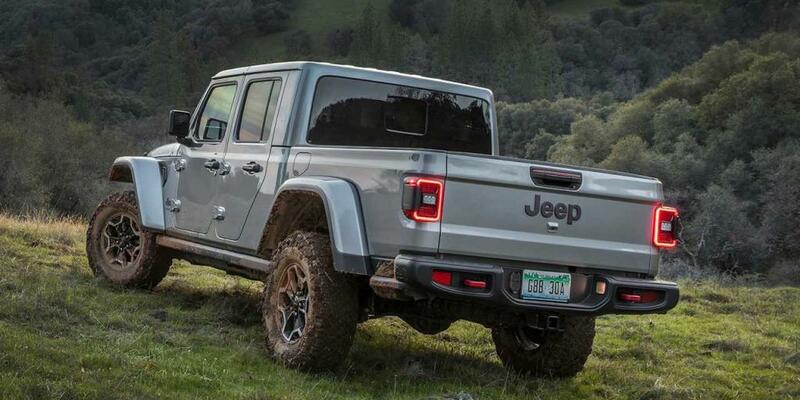 Since its reveal last November at the Los Angeles Auto Show, excitement has continued to grow for the all-new 2020 Jeep Gladiator. Fiat Chrysler Automobiles calls it the most off-road capable midsize truck ever! To kick things off and to also celebrate the Gladiator’s arrival in showrooms this spring, Jeep decided to hold a special one-day-only online preorder opportunity for a special version of its new truck. The limited-run Jeep Gladiator Launch Edition model was made available to customers who took advantage of the opportunity to preorder on April 4, called “4x4 Day” by Jeep. Pretty fitting, right? 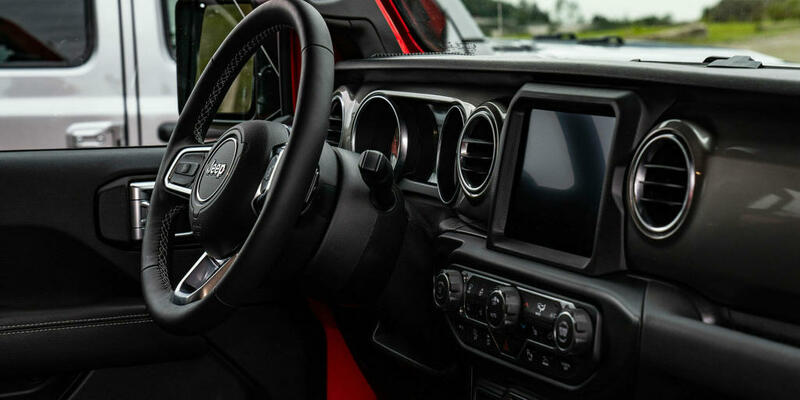 Customers were able to complete the preorder process through the dedicated Jeep Gladiator Concierge online. They were able to estimate a trade-in value and also get connected to a dealership. Customers Who Preordered Are Eligible to Win $100,000! What was even cooler about the one-day-only preorder opportunity? Customers who decided to claim one of the new limited-run Jeep Gladiator trucks are exclusively eligible to enter for the chance to win a whopping prize of $100,000! Jeep calls it one-year’s salary (although that’s a lot more than one year for many of us), and says they wanted to offer it up so that one of their customers can take time off to truly enjoy the Jeep lifestyle. Not bad! It’s called the “Find Your Freedom” contest and to enter, customers will have to submit their own personal “Gladiator” video. It will be judged by the Jeep brand and also wounded warrior and U.S. Army veteran Noah Galloway, who will choose the winner. In a video posted about the contest, Galloway (who lost an arm while serving in Iraq) explains how he was gifted a Jeep Wrangler after returning home. A local gym owner gave it to him, and the wounded veteran says it changed his life. “It opened up a world of possibilities,” said Galloway in the video. He says he and his family have had the best time using their Jeep on adventures. They love to take the roof and doors off and go explore. He goes on to further explain in the video how time is something you don’t get back, so you have to make the most of it. We love how Jeep partnered with Galloway on this contest, and also think the contest is a smart marketing move. The winner is likely to go viral with their stories about their big prize and new Jeep Gladiator, which Jeep will then likely use to further promote the new truck! The Jeep Gladiator Launch Edition is a fully loaded Rubicon with unique badging, 17-inch aluminum wheels, 33-inch all-terrain tires, and a beautiful interior. It comes in Black, Bright White, Billet Silver Metallic, Firecracker Red, or Granite Crystal Metallic. It features a body-color hard top and fender flares. Standard features include LED head and taillights, as well as an 8.4-inch touchscreen inside . Black leather seats with red accent stitching help make the interior even more special. A nine-speaker Alpine premium sound system, meanwhile, is capable of playing all your favorite hits. As for performance, the limited-run Jeep Gladiator Launch Edition features a 3.6-liter Pentastar V6 engine. It’s rated at 285 horsepower and 260 lb-ft. of torque. It’s paired to a six-speed manual transmission or an optional eight-speed automatic transmission. Gladiator Rubicon models can tow up to 7,000 pounds. 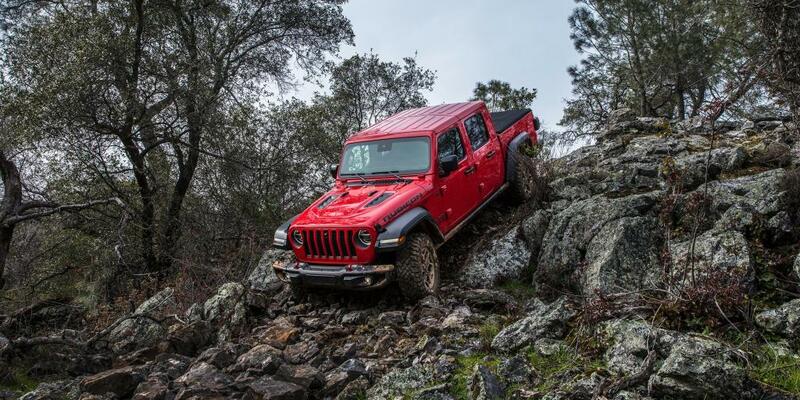 “Gladiator Rubicon models are equipped with signature red tow hooks, Rock-Trac 4x4 system, featuring a two-speed transfer case with a 4:1 low-range gear ratio, front and rear heavy-duty Dana 44 axles, Tru-Lok electric front- and rear-axle lockers, segment-exclusive electronic sway bar disconnect, cab and bed rock rails and standard 33-inch Falken Wildpeak All-Terrain off-road tires,” writes Jeep on its website. Standard safety features, meanwhile, include a forward facing TrailCam camera, blind-spot monitoring, rear cross path detention, a rear park assist system, full-speed forward collision warning plus, and much more. The Jeep Gladiator Launch Edition was limited to 4,190 vehicles in the United States. Only customers who preordered on April 4 were able to snag one. The forged aluminum tailgate badge on the midsize truck actually reads “One of 4,190.” That number is a tribute to Toledo, Ohio and its 419 area code. Both the Gladiator and the Jeep Wrangler are assembled there! There’s no doubt, the Jeep Gladiator is a unique vehicle. 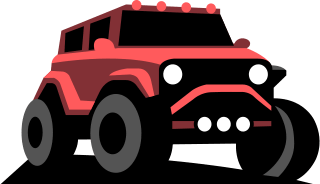 It builds on a rich heritage of tough, dependable Jeep trucks that offer a combination of rugged utility, open-air freedom, clever functionality and versatility, and best-in-class towing and 4x4 payload. “Combining traditional Jeep attributes with strong truck credentials, the Jeep Gladiator is a unique vehicle capable of taking passengers and cargo anywhere,” writes Jeep in a press release. Available with three different powertrain combinations and equipped with a versatile cargo box, the Gladiator is built to handle the demands of an active lifestyle. All Gladiator models are Trail Rated, meaning the vehicle is designed to perform in a variety of tough off-road conditions and has been put to the test. We’re excited for all of the Gladiator models to make their way to showrooms soon! We’ll also be paying attention to who wins that one-year’s salary from Jeep, because that’ll be awesome for them!